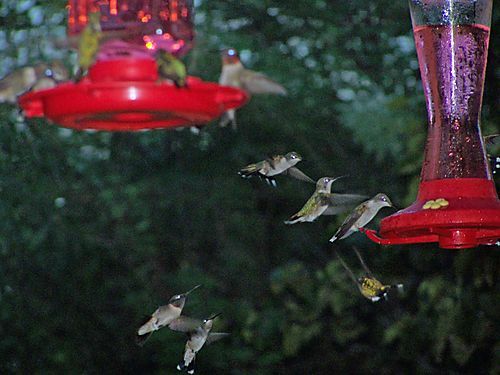 "Put up your feeders, the hummingbirds are arriving early this year. There are already 8 in our backyard. We have had as many as 60 by the middle of September. With five feeders up, we have to fill them twice a day."